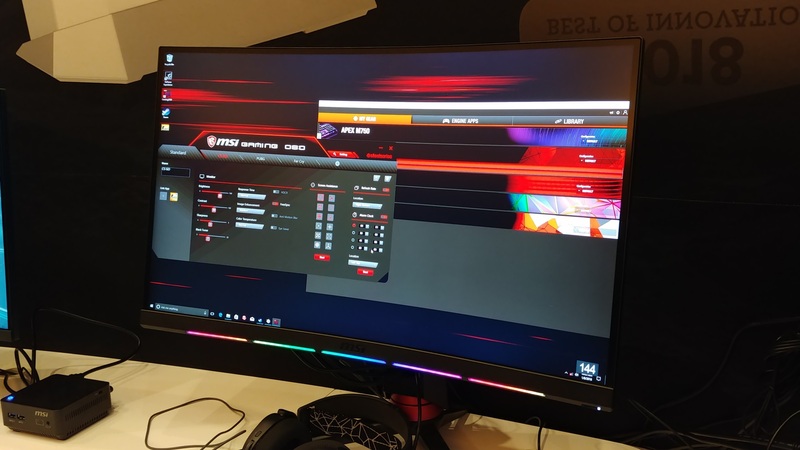 LAS VEGAS, NV — A good chunk of premium gaming monitors feature RGB lighting, but the feature is almost always a superfluous flourish and not something very useful. That could all change with MSI's new Optix series. 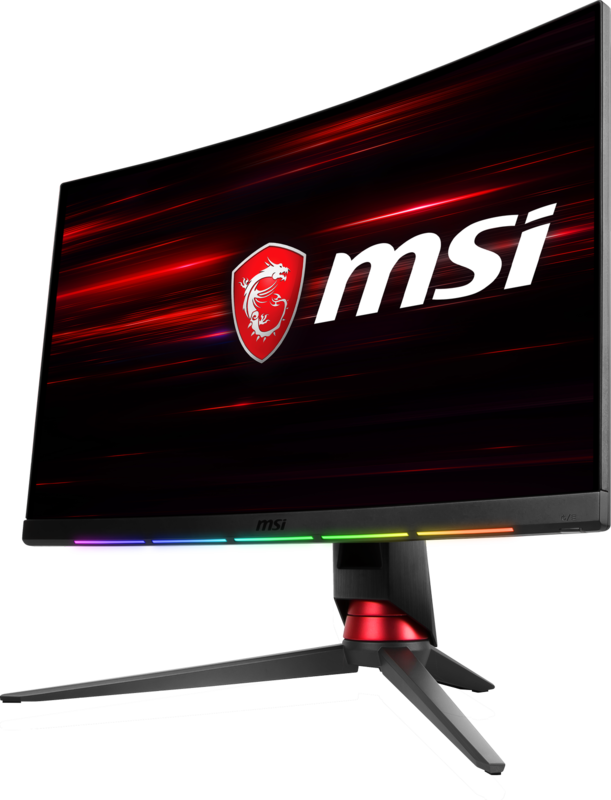 The MSI Optix MPG27C and MPG27CQ are the first gaming displays to utilize SteelSeries' GameSense technology, which allows you to fully customize the five RGB panels on each monitor's front bezel. According to MSI, these zones can be programmed using the SteelSeries Engine software to do things such as react to in-game timers or cooldowns or alert you to your Discord chat notifications. 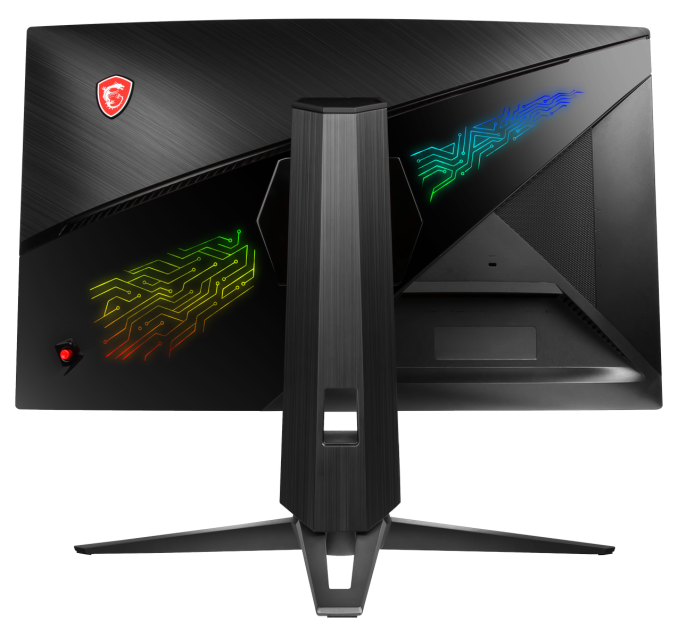 There are also customizable RGB lights along the display's rear panel, should you want some extra glow while gaming in the dark. These futuristic monitors both feature an 1800R curvature and 178-degree viewing angles, as well as a 144Hz refresh rate and 1ms response time for (hopefully) lag-free gaming. The 1-ms number is MPRT (Motion Picture Response Time) figure, more than likely indicating it is some form of blur-reduction mode. 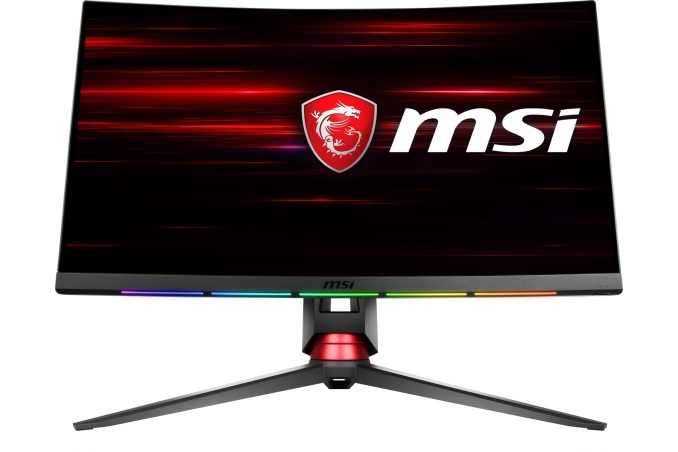 The MPG27CQ sports a 2560 x 1440 resolution, while the MPG27C features a 1080p screen. The MPG27CQ Sports a 400 nits brightness, 3000:1 contrast ratio, and covers 100% NTSC and 110% sRGB whereas the MPG27C has a somewhat mediocre 250 nits brightness and the same contrast ratio and color gamut coverage. Both monitors carry the same inputs and USB ports with one DisplayPort (v1.2), and two HDMI ports (v1.4). There are two USB 2.0 ports as well as one USB 2.0 Type-B for PC to Monitor. Audio connections consist of one earphone out, one microphone in, and one audio combo jack for microphone and line out to the monitor. If implemented right, the Optix's lighting capabilities could be a game-changer -- just imagine seeing a big blinking light every time your Overwatch character's special attack is ready, or a glowing red alert that lets you know you're in the final seconds of a battle. Of course, that kind of functionality is up to developers and avid tinkerers, so we're eager to see what folks do with it when the new monitors arrive sometime early in 2018. Neither model has a set price yet nor did they mention availability, but we're expecting something in the higher end given the fancy lighting feature.